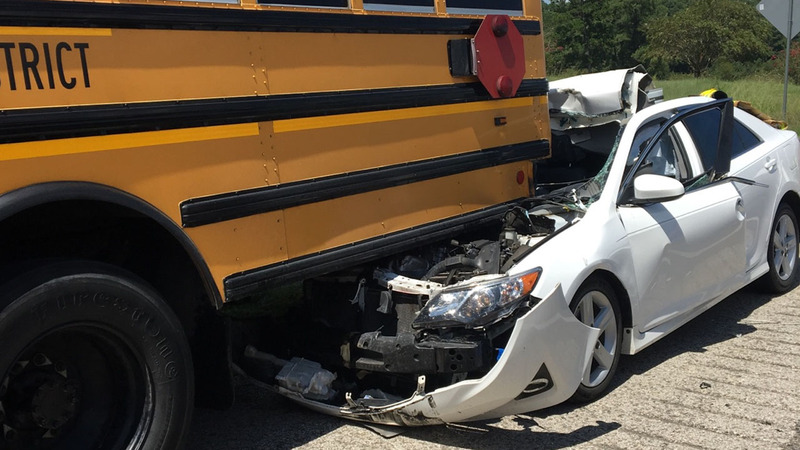 WALKER COUNTY, TX (KTRK) -- A driver was critically injured Wednesday afternoon after hitting the rear of an Houston ISD school bus. The driver was traveling southbound on I-45 near Park Road 40 when his car struck the bus, according to officials. New Waverly firefighters were able to free the man from the pinned vehicle. He was treated at the scene and taken by LifeFlight to the hospital. No students were on the bus and no other injuries were reported. DPS is investigating the accident.